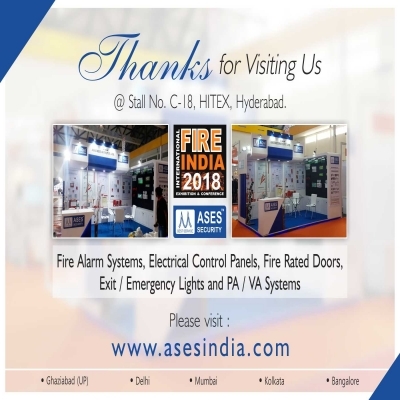 We proud to introduce ourselves as “ASES Security Pvt Ltd” an ISO 9001:2015 certifying company, a well known name in the field of fire detection systems . We are in this field since 1995. We have reached the remarkable height because of our professionalism and best qualities of oure products. We have our own R & D department for Researching technologies, Programming & quality control assurance. ASES have round the India presence with five offices with service center- Delhi, Ghaziabad (UP), Kolkata, Mumbai and Bangalore. 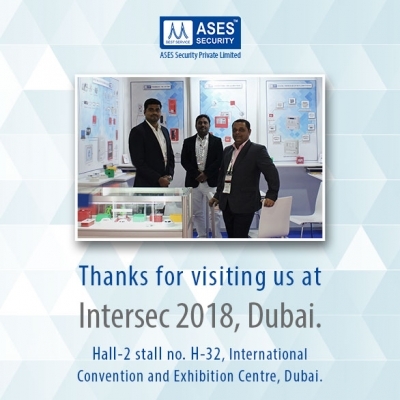 For the last three years ASES is also involve in export business of its products in the countries like SARC (Bangladesh, Nepal, Bhutan), Gulf Countries (Bahrain, Qatar, Oman), African countries (Nigeria, Kenya). Our vision is to operate our business with the highest level of integrity, responsibility and accountability and to continue to build on the trust that we have earned. At ASES, we are committed to meet our clients’ objectives by securing an edge over the industry quality standards in a cost-effective and timely manner. We incessantly strive to achieve long-term sustainability and high credentials by exceeding our clients’ and employees’ expectations. We wish to achieve a rewarding environment for our people and financial prosperity through our relentless perseverance and proper management. Our “Can Do” culture, the linchpin of our behavior, stems from our unity of conduct which is driven by our values. Our shared values are the benchmark against which each individual’s integration capability and willingness are measured; they stand at the core of our code of conduct. Motivated Commitment: We shall deploy all available measures to complete seamlessly the job that our client’s entrusted us for. The completion of task “as promised” and with “no exception” is at the forefront of our value chain. Honest integrity: Our philosophy of integrity is underpinned by streamlining our capabilities towards a defined set of goals; this sheds the light on our strength of incorporating new into existing competencies. New skills drive the intra-organizational challenge and development. Respect: We champion diversity and embrace individuality. Accountability: We take responsibility for our actions as individuals, as team members, and as Organization. Reliable professionalism: Our code of conduct has clear tools: transparency, ethics, environmental and social care, enthusiasm. These traits are the basis of our Customer Relationship Management (CRM) policy and infer our reliability and motivation to do business with fair return. Hiring and retaining the ‘best persons for the job’ is a top priority at ASES and the key to our Continued success. We place a significant investment in the training and professional development of our staff members and help them cultivate highly developed levels of expertise in their respective fields. Our Human Resources procedures assure a unique mix of integrated skills, experience and culture that in turn fortify the first-rate service we provide our colleagues and clients. Our competencies are projected by people who are capable, self-sufficient, culturally sensitive and knowledgeable, thus making them qualified and prepared to meet the demands of any large multinational assignment. We work hand in hand as a team to develop, design and construct groundbreaking projects. 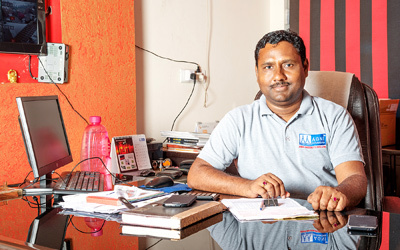 started this business in the year 1995 by his own. He is in this fire alarm industry for the last 20 years. and quickly after sale service. 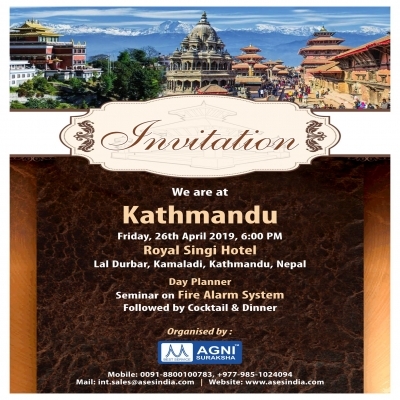 India’s one of the largest manufacturer of Fire Alarm System. A young person full of energy, leading the growth of company for the last seven years. 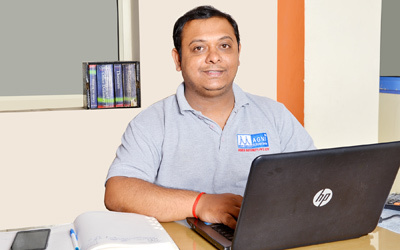 After completing his B.Tech in Electronics, joined ASES as R&D engineer. He is with ASES for the last 11 years. 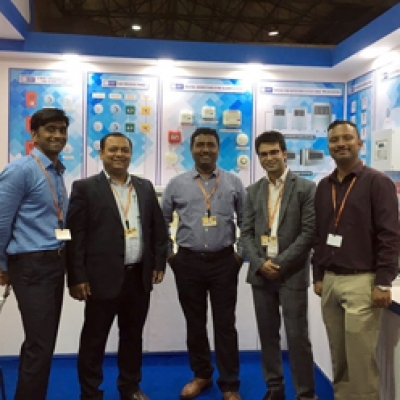 He has guided ASES to become India's one of the leading Fire Alarm System Manufacturer. Under his guidance ASES is now focusing on its presence outside India. A bold and strict person with experience of more than 19 years handing the Accounts and Finance team of ASES. He is with ASES for the last 10 years. Under his strict guidance ASES is growing in rapid speed for last 6-7 years without any hassle. 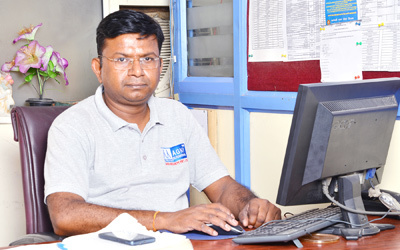 With Master Degree in HR he is heading HR and Admin division of ASES for the last 7 years. 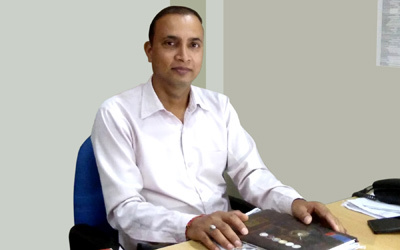 With over 14 years of experience he is engaged in making TEAM ASES with best in its class peoples. He is also heading the legal dept of ASES.